Download the official material font from Github. just clear the data of companion in your device app settings then restart companion. 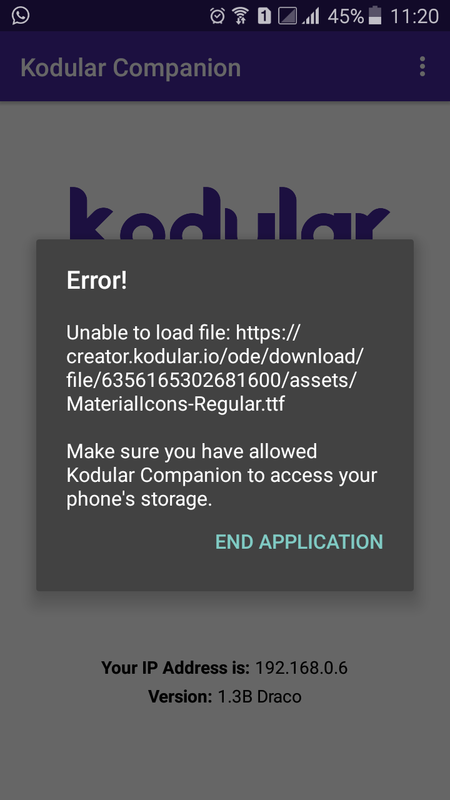 Make sure you have allowed Kodulars Companion to access your phone’s storage. 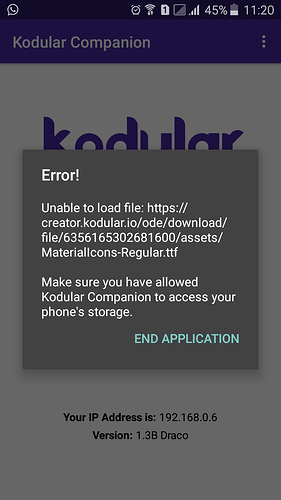 even by doing it manually by going to settings>app>kodular>permissions and still doesn’t work the companion app still gets that error . Even by restarting the companion. I dont know if its because of the device itself or the companion.